Hivemind today announced that it has won an intense multi-studio bidding war and acquired the rights to bring the hit Image Comics comic book series, GIDEON FALLS, to television in partnership with co-creators Jeff Lemire and Andrea Sorrentino. Hivemind’s Jason Brown, Sean Daniel, Kathy Lingg and Dinesh Shamdasani will executive produce the series alongside co-creators Lemire and Sorrentino with high-level creative talent already circling the project. An atmospheric thriller colliding rural mystery and urban horror, the series follows an ensemble cast of seemingly random strangers – a washed-up Catholic priest, an uncompromising female sheriff, and a young recluse obsessed with unraveling a conspiracy buried in his city’s trash – as they become drawn into a mystery connected to a long-forgotten local legend. Established in 2018, Hivemind is the new production entity from long-time producing partners Sean Daniel and Jason Brown, Bad Robot veteran Kathy Lingg and former Valiant Entertainment CEO & Chief Creative Officer Dinesh Shamdasani. Dedicated to partnering with high-level creative talent and globally recognized intellectual properties from the worlds of science fiction, fantasy, horror, comic books, video games, anime, and more, Hivemind recently inked a first-look deal with Amazon Studios. GIDEON FALLS marks a major new rights acquisition for the label, which will develop the series as an hour-long horror drama based on Lemire and Sorrentino’s repeatedly sold-out, critically acclaimed comic title of the same name that instantly became one of 2018’s biggest breakout hits upon its debut in March. 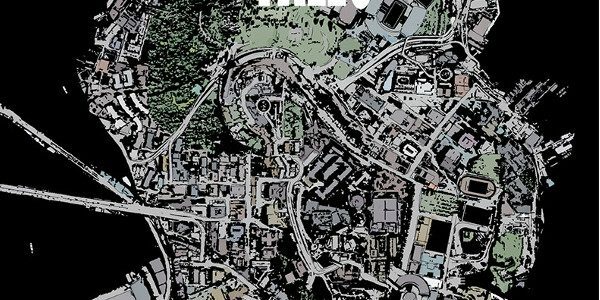 GIDEON FALLS is the latest property to join Hivemind’s quickly expanding roster of film and television projects. The company currently produces the acclaimed science fiction series The Expanse – which recently made a historic move to Amazon – as well as Netflix’s upcoming adaptation of The Witcher, based on the series of novels that inspired the best-selling game franchise. Its next feature film will be Scary Stories to Tell in the Dark with producer/co-writer Guillermo del Toro and director André Øvredal, which begins production this summer. “GIDEON FALLS is a story that is very near to our hearts, and Andrea and I could not be more excited to be partnering with Hivemind to bring the terror, and the story of Fred, Norton and The Black Barn, to an even wider audience,” said series co-creator and writer Jeff Lemire. GIDEON FALLS will also notably re-team Lemire with producer Dinesh Shamdasani, who joins Hivemind as Co-President. Lemire and Shamdasani previously collaborated on multiple best-selling comics projects, including The Valiant and Bloodshot Reborn, during his time at the helm of Valiant Entertainment, which Shamdasani departed following a major acquisition in early 2018. In addition to his duties at Hivemind, Shamdasani is also currently producing a big-screen adaptation of the Bloodshot comic book series for Sony Pictures with star Vin Diesel, director Dave Wilson, and Academy Award-nominated screenwriter Eric Heisserer that is set to begin filming this summer.